Anthony Tannous is Australia's Most Trusted Education Expert, appearing frequently on A Current Affair, Today Tonight, regular education segments on various radio stations across Australia, as a guest on education matters, speaking at schools, educational conferences and being interviewed for many articles by educational and parenting magazines and websites plus many major newspapers. Anthony and wife, Felicity’s extensive experience in both primary and high schools, their comprehensive knowledge of the education system and the pitfalls that confront students and parents, enable him to give solid advice on overcoming the difficulties. 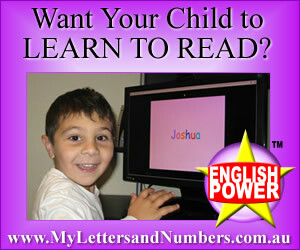 Parents, if you would like some advice about your child’s specific learning situation, or how the school systems work, your child’s school report explained, help finding something on our site, or with anything educational at all...Australia’s foremost Education expert, Anthony Tannous will endeavour to help.